No more messy clean up since there's two heads on either end of these fancy deer! 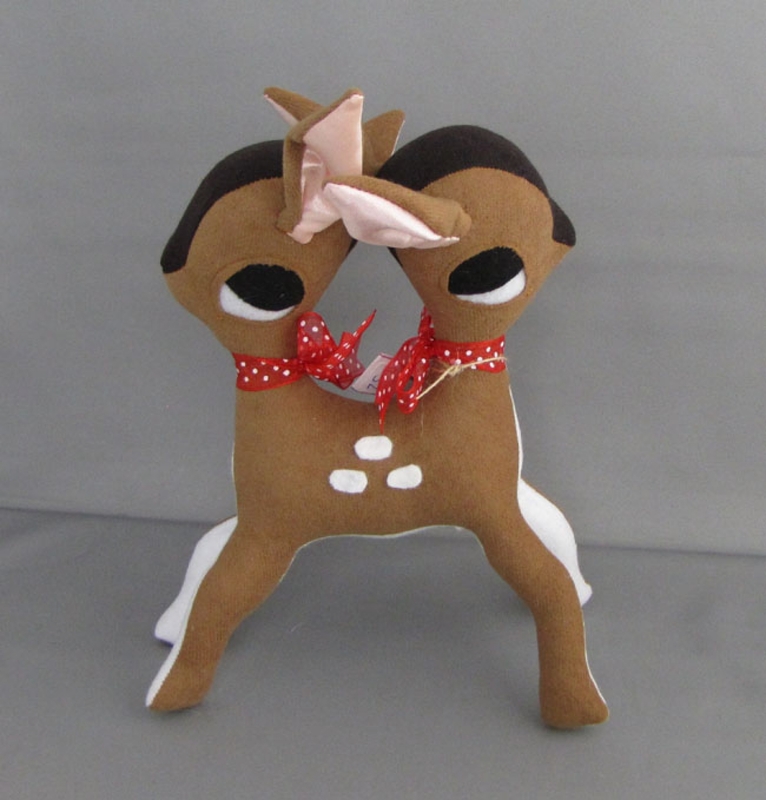 These double deers are around 8" tall and made of soft, suede-like fabric. Each head comes adorned with a sweet ribbon bow tied around it's neck. These perky fawn have tan bodies and dark brown foreheads with pink satin lined ears. This style deer is available in other colors upon request! Each is completely handmade so some details may vary.